Biosecurity is the most important line of defense that each poultry owner has against disease. Even if you only have five birds in your backyard, it is just as important for you to develop and utilize daily biosecurity practices as it is for caretakers at Iowa’s many breeder, hatchery, gamebird, broiler, turkey and egg farms. What is biosecurity? The definition states that biosecurity is a set of procedures intended to protect humans or animals against disease or harmful biological agents. When you break the word down, “Bio” refers to life, and “security” indicates protection. By practicing the following five basic biosecurity steps you are not only protecting your flock from harmful diseases, you are also protecting your family from disease as well. Keep visitors to a minimum, keep a record who is on your farm and ensure everyone follows your biosecurity practices. Wash your hands before and after coming into contact with live poultry. This not only limits the spread of disease from other farms to your own, but also helps to prevent germs, such as Salmonella, that can impact human health. If soap and water is not available, remove any organic material and use hand sanitizer. Provide disposable boots (preferred) and/or a disinfectant footbath for anyone having contact with your flock. Remove organic debris with a long-handled brush before using the footbath. Change clothes before entering and prior to exiting poultry areas. Use personal protective equipment (PPE), such as barn dedicated coveralls, boots, etc. upon entering and remove before leaving. Clean and disinfect any tools or equipment before using at another farm. 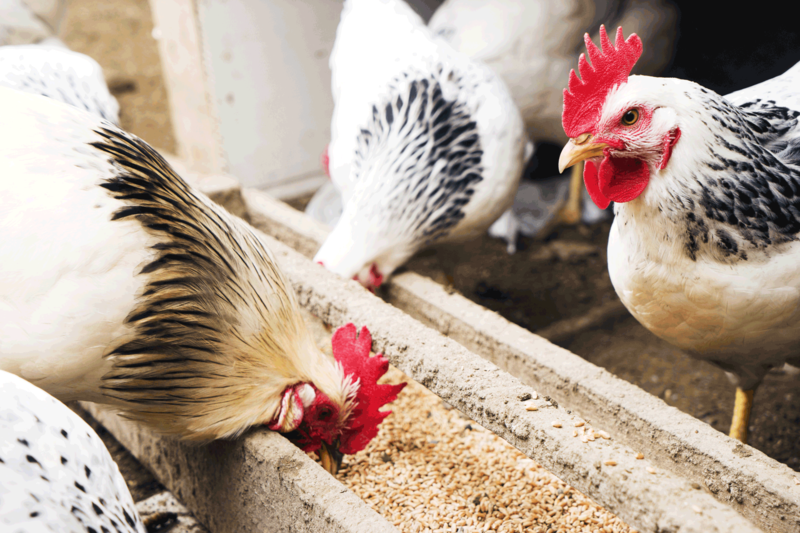 By practicing these simple steps every day you will decrease the risk of deadly diseases such as Avian Influenza and Exotic Newcastle from not only infecting your flock, but those around you. Please call or email me today if you have questions on how to implement these steps for your flock. Please use the following links to learn more!